Rear of a cigarette case engraved with the names of Crew 2464, 565th Bombardment Squadron, 389th Bombardment Group, US 8th Air Force. 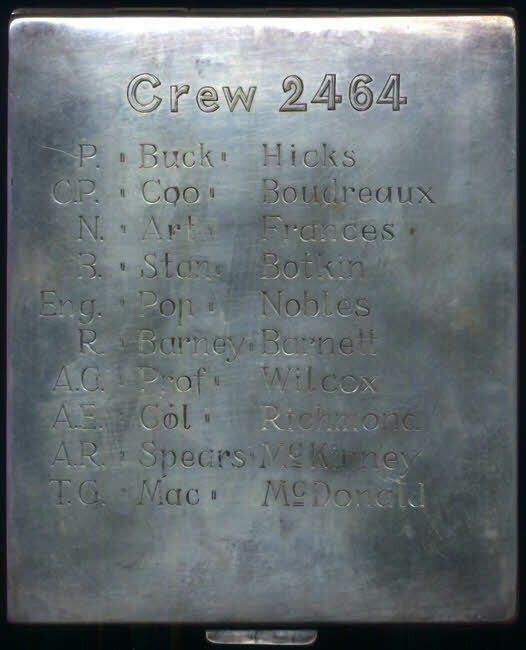 The engraving must have been done after the crew's arrival in England as the front records its location as Norfolk. The crew survived the war after they were forced to land their damaged aircraft in Switzerland on 28 June 1944 and were interned.